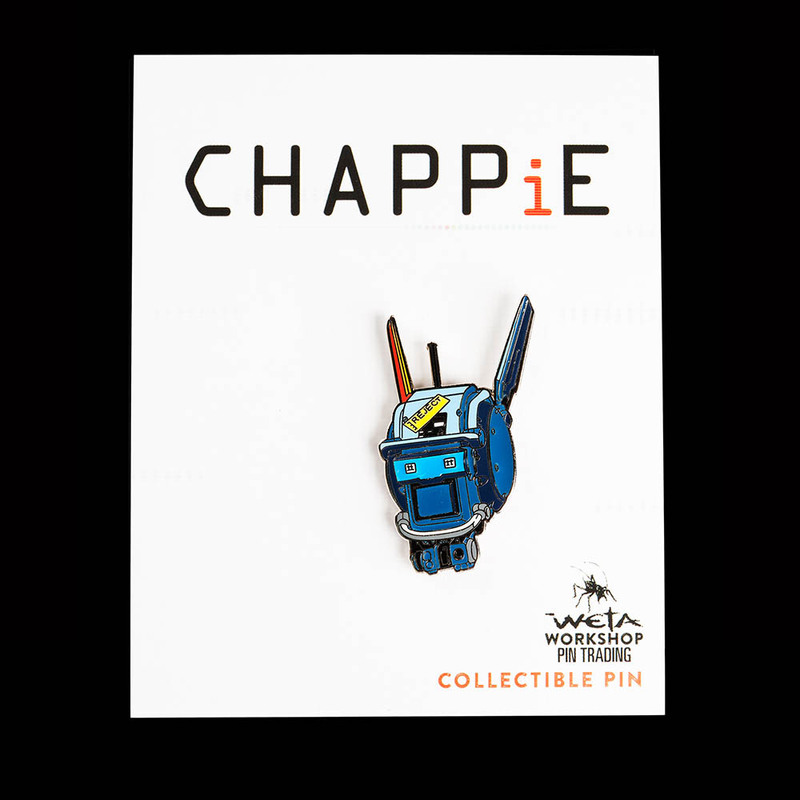 The collectible Chappie Head Trading Pin is made from metal (brass) with enamel paint detailing. It comes mounted on a backing card inside a plastic bag. 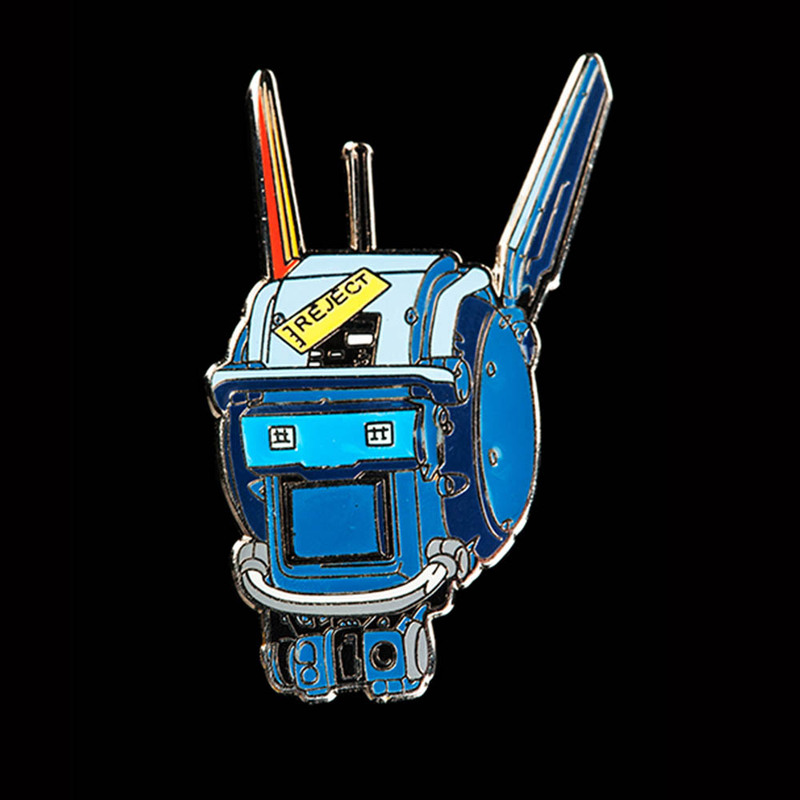 The reverse of the pin is plain gold metal.